A Modernist glass table lamp Designed By Michael Bang For Holmegaard. 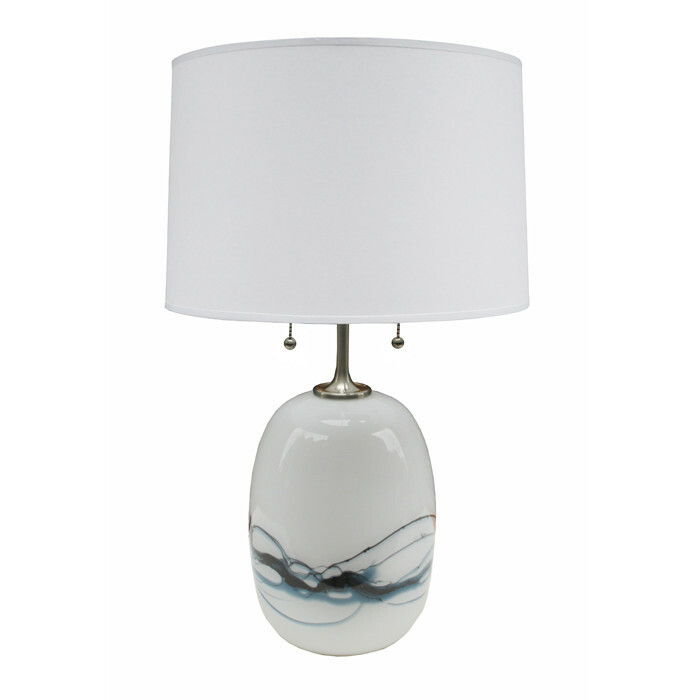 White glass with blue colored swirl patterns and brushed nickel neck. Dimensions: H:22½ Shade Diameter: 14 Inches.